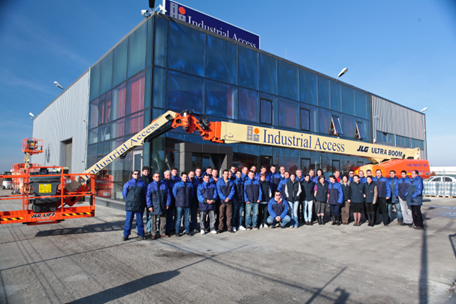 Industrial Access SA Romania is the largest independent powered access rental company in the Balkans area, having only 12 years history of strong organic growth, from a small entrepreneurial company to the most developed powered access rental network depot in Romania (we also have two 100% owned subsidiaries in Bulgaria and Moldova). Established in 2005 Industrial Access provides, reliable, rental solutions across Romania, Bulgaria and Moldova offering coverage trough an extensive network of branches. 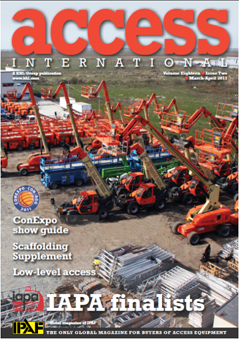 Industrial Access continue to build an enviable reputation in the world of powered access. With access to over 2700+ fleet machines across Romania, we will provide you with the ideal machine for your application. We aim to provide the complete service solution for our customers, as the preferred supplier, through innovation, customer intimacy & support, dedication, professional attitude and hard work. Integrity, total engagement, full support and adaptability to our customers’ ever-changing requirements are the main drivers for our efforts, which we believe will allow us to achieve 30% market share in all our segments..
Because we are always there, where our stake holders (clients, suppliers, banks, collaborators – advertisement & magazines, insurance & leasing companies, shareholders) expect us to be based on our reputation and given words. We built up our name, within our small “rental” world and we are continuously working, both top down and bottom up, to fulfil our promises, increase our efficiency and develop our common future. By renting with IA, you instantly have all the advantages of using premium equipment with none of the responsibilities of ownership. 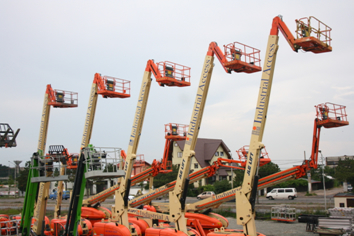 Our fleet of state-of-the-art rental equipment guarantees quality for superior operational performance and efficiency for maximum cost-savings. Whether for contingencies or unexpected emergencies, call on the experienced team at IA. We have highly competent personnel with un-paralleled knowledge of our products, delivering exceptional customer service with the highest quality rental fleet. Our goal is to focus intensely on your needs and demands. We achieve this goal by providing you with the highest level of service and responsiveness, and from our equipment quality, reliability and availability. We use selective waste management, used batteries, oil and printing cartridges recovery by specialized waste management companies. All our company cars were upgraded and now we are using engines from Euro 4 upwards, including latest Euro6 emission engines. We invest in the latest IT and infrastructure technologies available in order to lower our carbon footprint, as we try to bring our contribution to the modern world. We digitize all our documents, trying to reduce the amount of paper used in our daily operations.